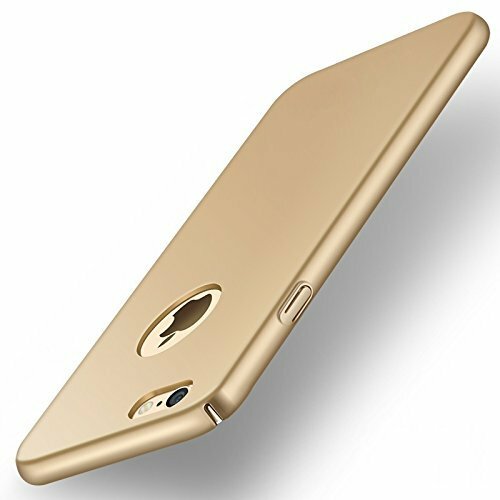 Fone Buddy 4 Cut Ipaky Protective Curves Rubberised Hard Matte Case Back Cover For Apple Iphone 5/5S/SE (Gold)@219 Rs [Mrp:-219] - Onlinedeals.discount - A leading product discovery website. Find the true prices of products, read reviews and buy top brand products at reasonable prices. INTRODUCING OUR “360 DEGREE HARD CASE – ALL SIDES COVERAGE SERIES” – No Need of Bulky Cases Now ! This Amazing Case Protects Your Mobile From ALL SIDES without adding weight. Champagne Gold colour with MATTE finish. Sweat and Fingerprint proof, Anti-dust, washable & tear-resistant. Its sleek design provides ease and comfort in handling, without the additional weight and bulk of other traditional cases.